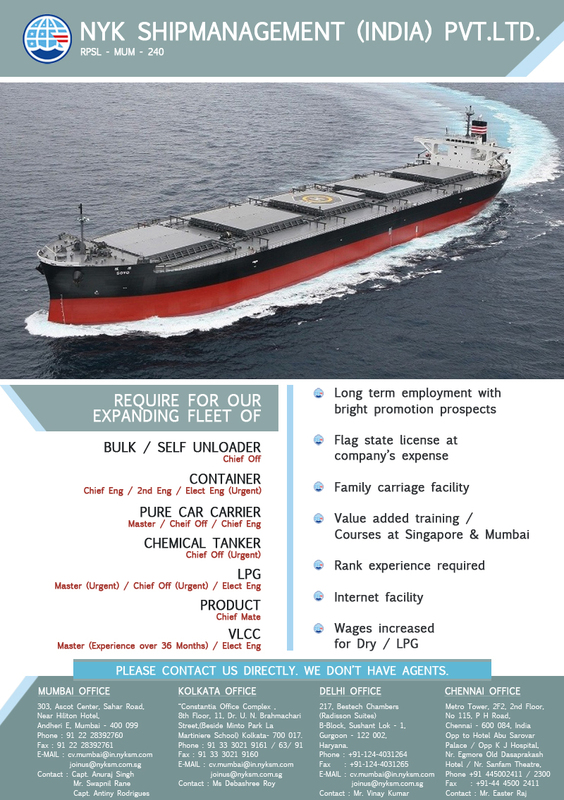 Advertisement of NYK Shipmanagement (India) Pvt. Ltd.
NYK SHIPMANAGEMENT (INDIA) PVT. LTD.